For commercial and cargo vans, our van fleet products provide the functionality, safety and professional style you demand for your business. LUVERNE cargo van accessories are made for vehicle-specific application and all are proudly manufactured in the USA. We offer a variety of side steps, including our popular Grip Step™ running boards and aggressive O-Mega II™ side steps. 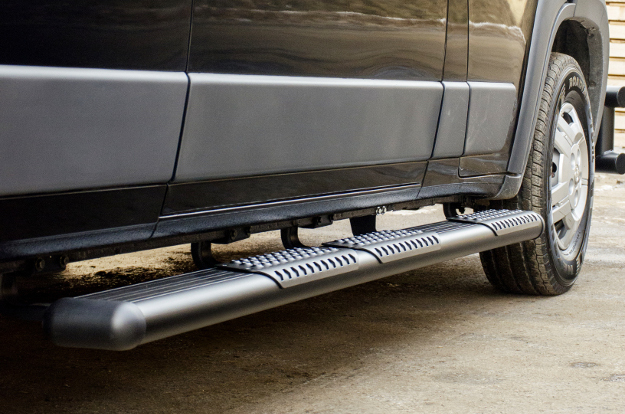 All of our van running boards and side steps are also available in rear step applications. We also offer front-end protection with our powder-coated stainless steel Tuff Guard® van grille guard. 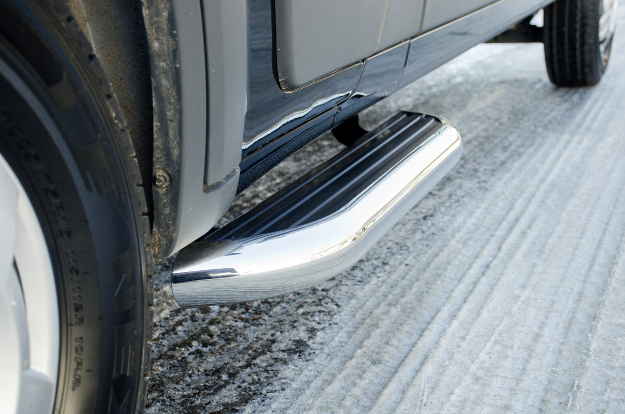 This front-end van bumper guard adds professional style and protection with its 14-gauge, powder-coated stainless steel build. It features strong 3" diameter tubing welded together into a one-piece design. 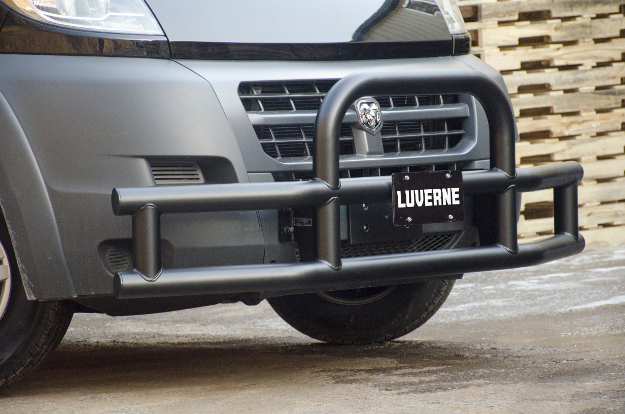 Each LUVERNE Tuff Guard® van grille guard mounts with vehicle-specific brackets for an easy installation and seamless integration with the front end of the cargo van. Ideal for work vans, these running boards are built from powder-coated aluminum and have expanded metal treads for maximum traction and safety. Grip Step™ running boards are durable, non-corrosive and fuel-efficient. They are available in unique cargo van configurations to accommodate single-passenger doors and sliding doors, as well as rear steps. All Grip Steps™ install with vehicle-specific brackets. 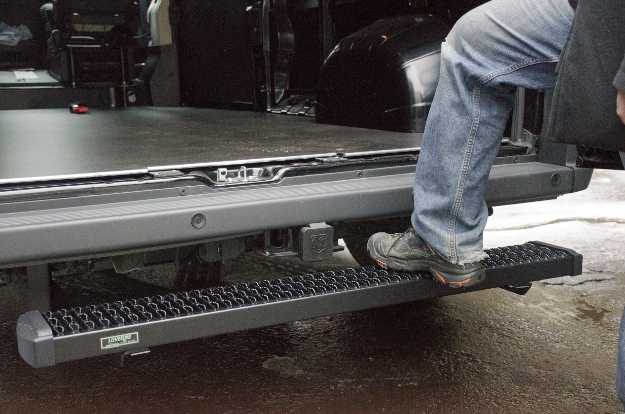 LUVERNE MegaStep® running boards for vans offer the functionality of full-length, non-skid running boards with an elevated style for your business. They are constructed with a lightweight aluminum base, polished stainless steel trim and high-traction rubber treads. MegaSteps® are suitable for the jobsite or daily delivery routes. They are designed for vehicle-specific application and are available in unique configurations for cargo vans. These aggressive running boards are suited for extreme conditions and long hours. They are constructed from powder-coated aluminum, including both the running boards and step pads. The aluminum step pads feature raised circular treads for excellent traction in any weather. O-Mega II™ side steps offer a bold, uncompromising accent for your commercial van and business. They are available in van-specific configurations and are customizable with ready-to-attach step pads and paintable end caps. 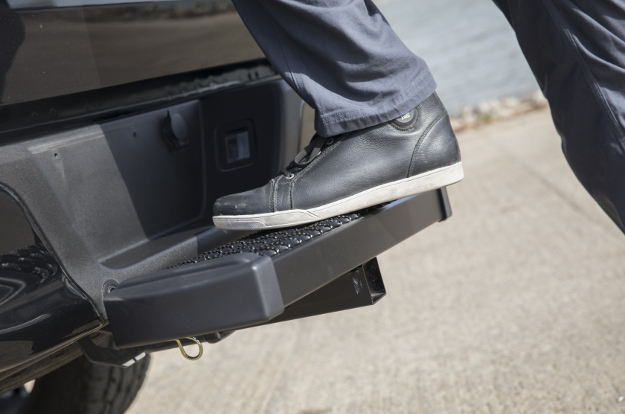 Available in multiple styles of our popular running boards and side steps, these vehicle-specific cargo van steps provide convenient rear cargo access. LUVERNE rear steps are ideal for delivery vans or any commercial van that requires frequent entry and exit from the rear. All LUVERNE rear steps install with vehicle-specific mounting brackets for an easy installation and seamless integration. 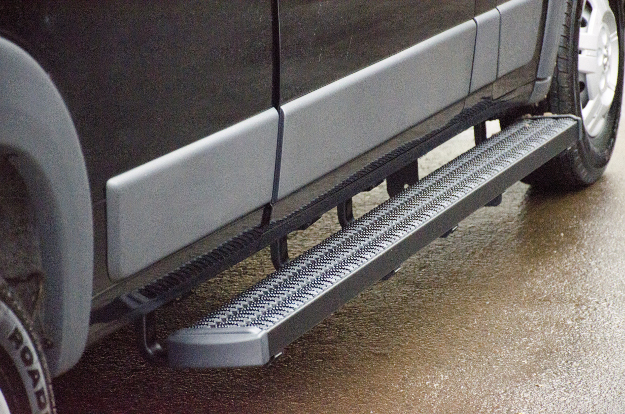 Like our van rear steps, LUVERNE receiver hitch steps are available in matching styles of our popular running boards and side steps, including Grip Steps™, MegaSteps® and O-Mega II™ side steps. Each hitch step comes with a standard shank to fit any 2" x 2" hitch receiver, and it provides a 26" wide step that attaches and detaches as needed. LUVERNE hitch steps can be used on rear receivers and front mount hitches on cargo vans, trucks, SUVs and virtually any vehicle equipped with a proper hitch.